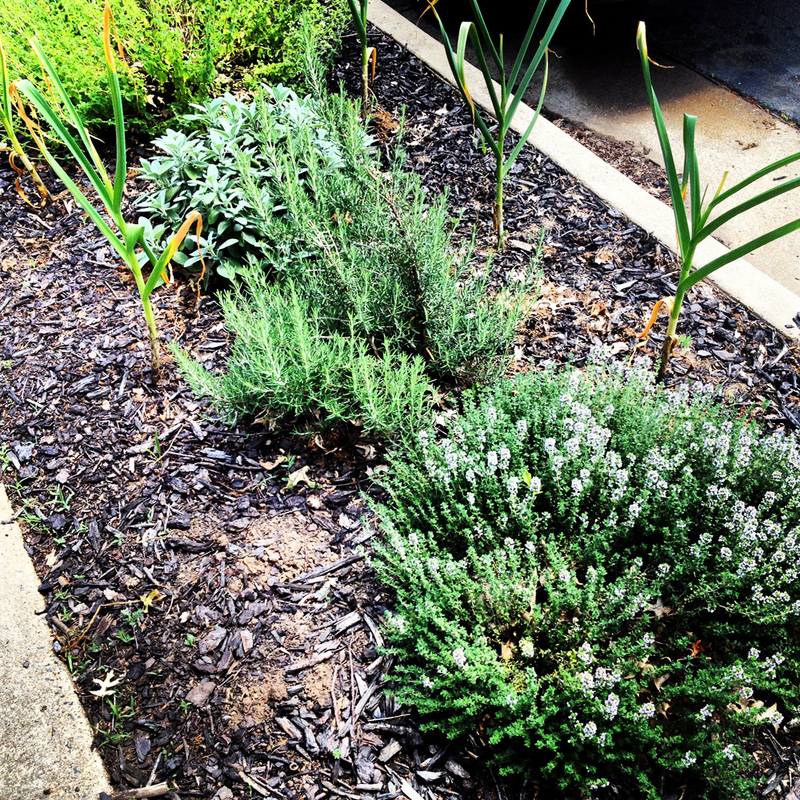 Herbs curbside: Trend or apocalypse prep? 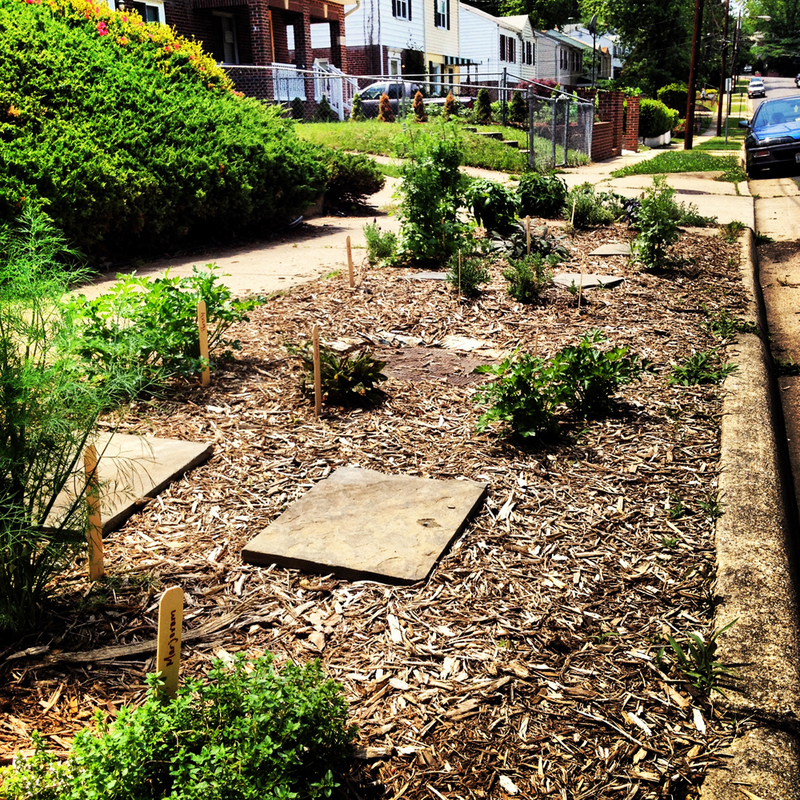 Our neighbors turned their “hell strip,” the grass between the street and the sidewalk, into an herb garden. It is growing hardy bushes of rosemary, basil and thyme — all free for the taking. I shrugged it off. When the people living across the street copied their peculiar planting, I began to wonder if this is an actual, legitimate “thing”? Or were the neighbors just preparing for some post-apocalyptic scenario where, due the lack of food, we all have to plant communal gardens in our front yards. Thanks to Google, I discovered that, yes, it is “a thing.” And, even cooler, the thing comes from the West Coast. According an MSN.com slide show on the subject, strip gardens are popular in Seattle and Portland. Those gardens of course look pretty awesome with rocks, flowers and shrubs. I have to admit that our hell strip gardens, like our yet-to-be-gentrified neighborhood, are on the shabby side. (Photos below.) Hell strip gardens are such old news that they’ve even been covered in the Wall Street Journal — two years ago. Will I be planting hell strip garden any time soon? In theory, I appreciate the idea. In practice, my hose doesn’t reach that far. I like the idea of extra space for flowers, but there’s no way I’m eating herbs that a bunch of dogs have peed on. First one would hope that your neighbors would have enough sense not to let their dogs use the hellstrip plantings as a rest stop. Second the beauty of hellstrip planting is that most often the plants placed there don’t require watering, they are tough plants that will grow in harsh conditions. Herbs don’t need much more than sun and occasional drink when first planted, after that they are tough as nails. Also adding plantings to that area increases food not just for people but for beneficials where as grass does nothing. Hi Angie – Good point. I do appreciate the neighbors sharing their herbs. It’s a good idea, and I was just joking. I’d plant a hell strip garden myself if I could manage to keep up with my existing garden.